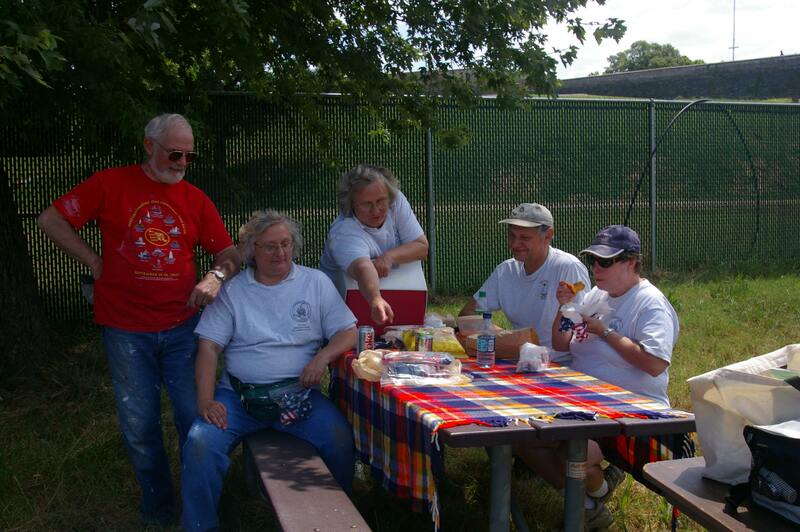 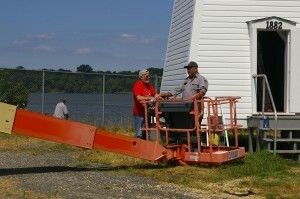 Workday: Fort Washington July 18, 2009 – Chesapeake Chapter U.S.L.H.S. 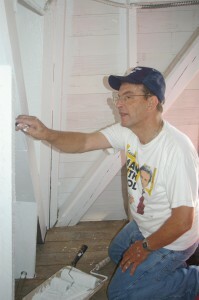 Volunteers completed several tasks at Ft. Washington. 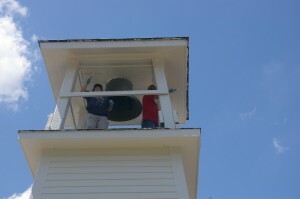 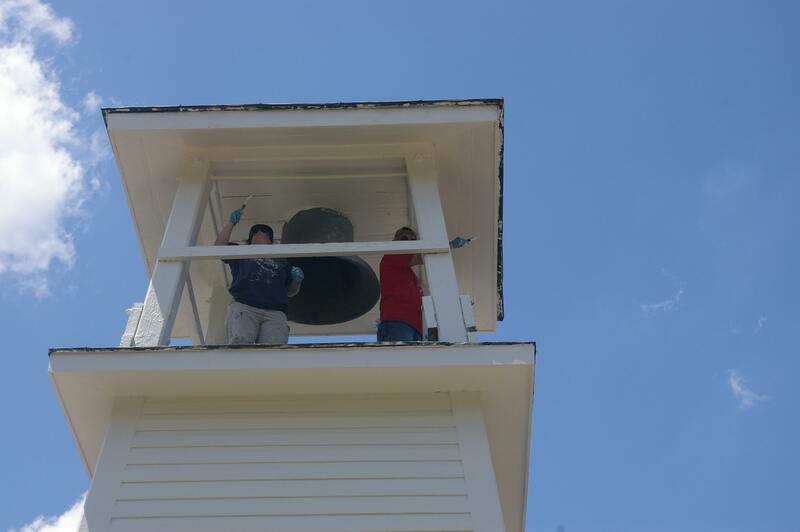 We were able to use the lift to get to some of the higher areas on the outside of the beacon. 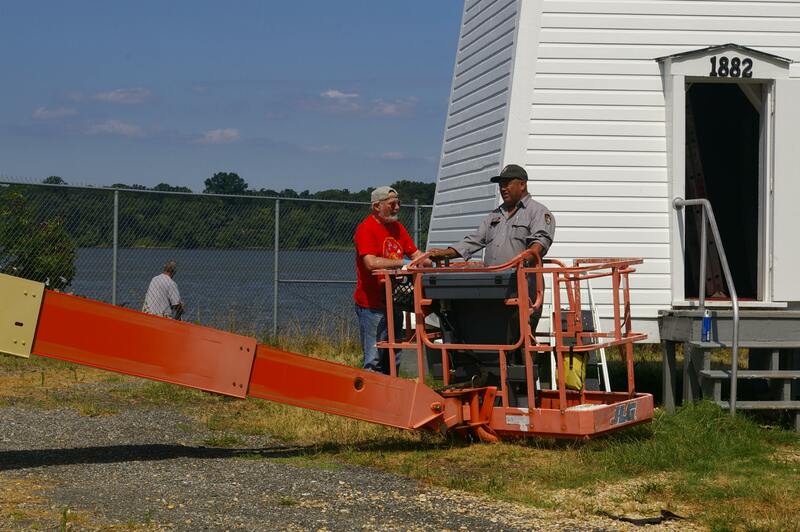 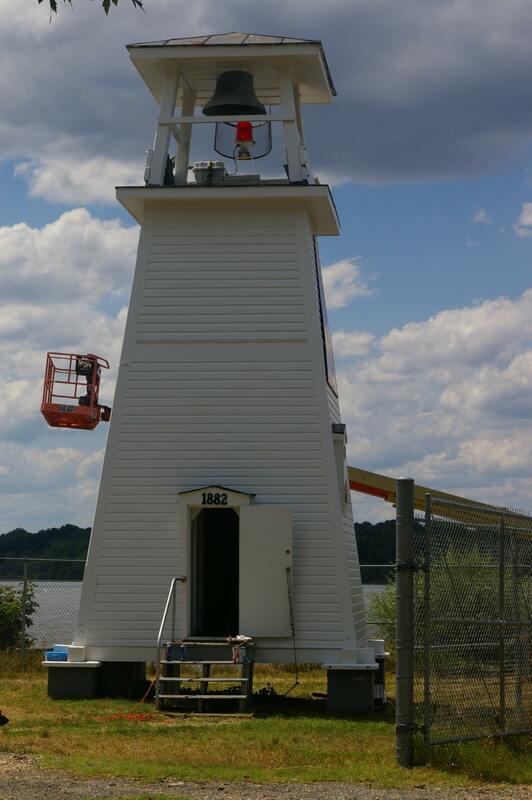 While it is short compared to some lighthouses, it is still very nice to use the cherry picker instead of a ladder or the scaffolding. 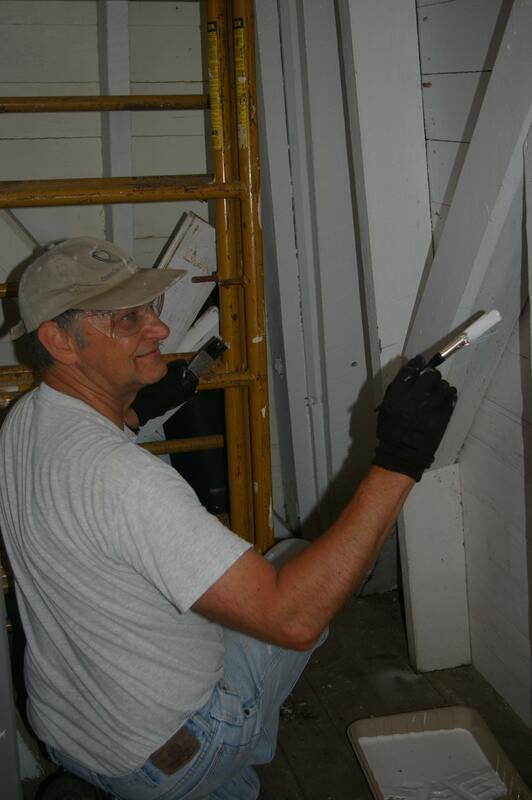 Volunteers also did painting inside on the first level. 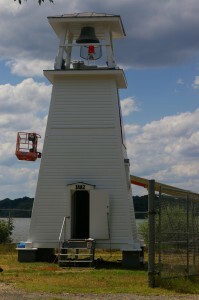 Some of the vegetation was trimmed away from the fence that surrounds the light. 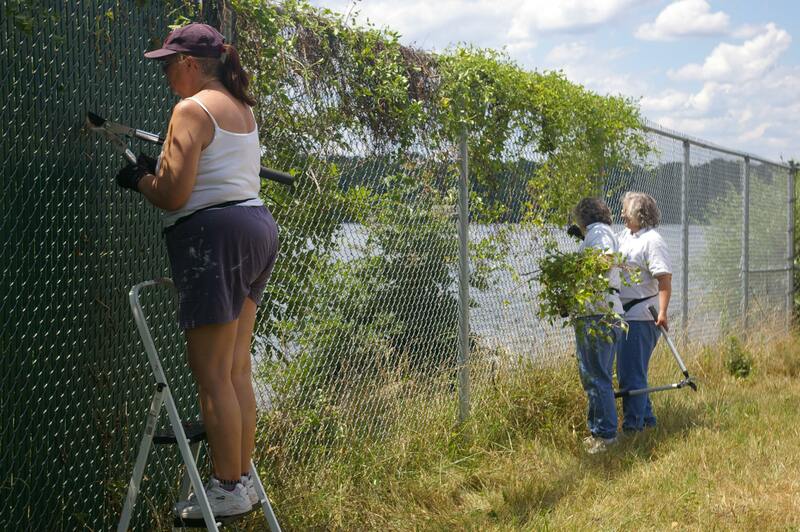 Sandra, Lauren and Paula clear way the vegetation.